We had a chance to get an in-depth look and feel of this at NAMM, so today we took the time to review the Rane Seventy-Two DJ mixer, all new for this year. We all know that Rane brand name when it comes to DJ gear — they’ve been synonymous with spinning since it first became a popular hobby and profession for many. We remember watching scribble jam in the 90’s and seeing that name everywhere on all of the DJ’s gear. So what’s new with them this year? Where are brands going these days with new mixers, especially as the technology boom continues to grow in the music equipment world? Are there vast improvements? Simple features to justify price? Groundbreaking capabilities? Let’s check it out. The overall build of this is a solid steel construction, and Rane’s terms with “built like a tank” surely holds up. We were able to pick it up and verify — it’s up there in terms of the industry standard. What’s first most impressive we feel are their new faders — two for each channel as well as the master. They’re extremely smooth when using them, and what’s new about these are you can actually take the fader out and adjust the tension but lowering a magnet that’s attached to a set screw. Why not? 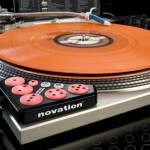 They’re also built a lot better than previous Rane mixers, which they had gotten complaints about a few times. Don’t forget that button, knob, and FX paddles — they’re built well with dual die-cast aluminum, and can actually be taken out and be switched to vertical if you feel the need to. And what about that performance pad make? Yes, straight out of their sister brand Akai’s MPC build. They have adjustable threshold as well as aftertouch and independent mode controls per deck. These things felt amazing as always — we’ve been using MPC’s for years and we’re glad they included these in here, especially with that legendary pad make. So what are all the ins, outs, buttons, faders and pads on the Rane Seventy-Two for? Let’s see what you’ll get at your fingertips here. Most noticeably on the front, we have that excellent 4.3″ colored touchscreen at the center, and right below those are those FX paddles (180 degree rotation). Combine these with those three “MAG THREE” tension-adjustable faders (also provide cut-in adjustments, reverse, and contour controls), and you’ve got the foundation for a DJ mixer here. Add in the 3-band isolator EQs, chain integrated Serato software effect controls, assignable channel selectors, microphone ins with duck and custom echo, session in/out, as well as an SP-8 sampler level, and you’re good to go without missing much here. On the sides, let’s get into what we have there. 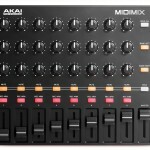 Contour controls, reverse switches, deck swap to flip channels 1 and 2 and the up and down faders or headphones. Two mic XLR ins, two USB deck hookups, two phono grounds, two booth, and of course, session i/o and deck aux with PH/CD. The footswitch especially is nifty here — trigger some effects easily or perhaps get creative with MIDI assignments if that’s your style. After getting the overview and using it a bit at NAMM, what really blew our minds was the touchscreen here. You have a streamlined view of Serato’s moving waveforms and their cute points directly in front of you, quite possibly eliminating the need for a laptop at the center of your setup (up to you). It also provides us an interactive experience with Serato’s FX (two internal FLEX FX engines for each channel and stacked Serato FX — moving-wave display, X/Y FX control, song selection and some user customization). Also keep in mind that there also internal effects, so let’s say you aren’t using Serato that day or don’t have it yet, it’s still usable in the FX area with the built-in hardware FX. You can have two different FX banks regardless of a Serato connection. There are two different view modes on the screen of the Rane Seventy-Two as well — effects view or library mode. Library mode gives either expanded for song information (key, time, artist, BPM, song title, etc.) or a simpler interface for just song title and BPM. Waveform view gives us waveforms sync on\off, BPM, key lock, or time information. Lastly, you can use something called the “KAOSS” pad effect (ever heard of it) and scroll through FX tweaking with your fingers. Note, you can’t pinch the waveforms for zooming yet, but they said they would be working on that and hopefully have it available for the release. The pads alone can not only trigger samples via assignable MIDI, but also be used for special modes for pad FX (break, backspin, gate, and echo), crossfader FX, transport and custom mode layer. Couple this with the buttons above with hot cues, loops and their ‘pitch play’ pad mode (that’s becoming pretty popular nowadays in mixers) and you have a lot at your disposal with just the pads alone. 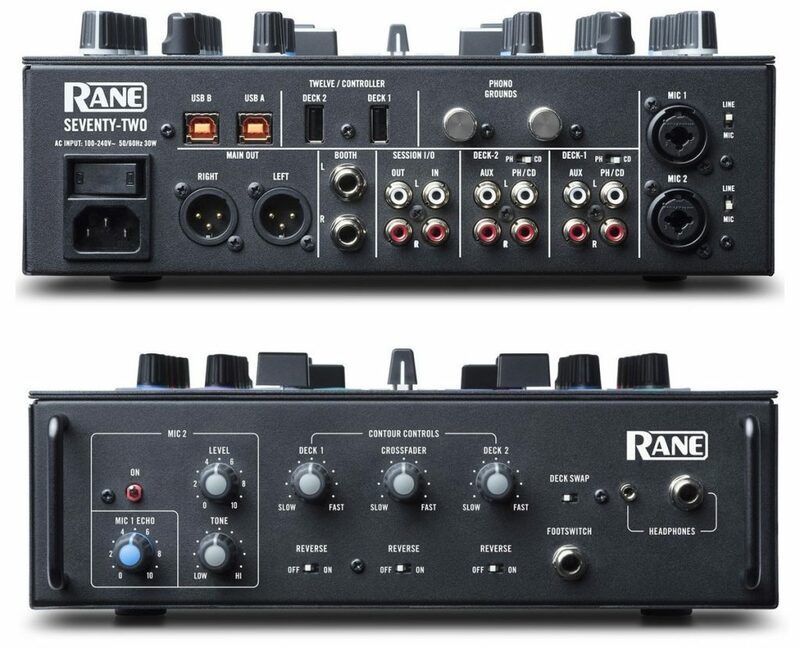 Firstly — is it a big difference from their previous Rane Sixty-Two? Yes, in quite a few areas. Most notably is the better make of the faders — they’ve stated it’s about 160 times more durable and won’t break on us like some of the sixty-two’s had. Plus, which we’ll explain later, they’re tension-adjustable. Some say the fader effect is cheating, but we’ll leave that conclusion up to you. Is it worth upgrading from a previous Rane mixer? We wouldn’t say so. There are better faders, a brand new touchscreen, and some other additions, but for a retail of nearly two-grand, you’ll be fine sticking with what you already have. Don’t get us wrong, if you do feel like dropping the cash on a new one, be our guest. If you however need a brand new mixer or are just starting (this isn’t necessarily a ‘beginners’ mixer but give us a big learning curve), yes, it’s definitely worth the money if your budget is high. This won’t nearly be as powerful or worth the money if you don’t already have Serato. They’re continuing to collaborate with brands to make specific compatibility here. Not that it won’t work with other DJ software, but we’d only recommend grabbing the Seventy-Two if you already have Serato or are planning on buying it — you can always grab their trial version to get going and see if you like the feel first (I mean, it’s one of the, if not the most, popular software for DJ’s in the world). We’re a bit disappointed it isn’t included in here, or at least a trial (albeit downloadable separately), although they do include some expansions — Serato DJ DVS license as well as Serato DVS vinyl. 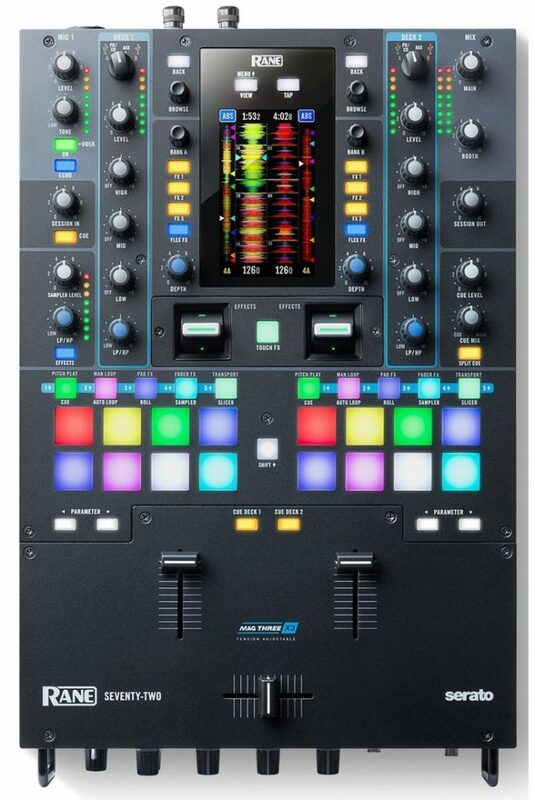 Once you do have Serato up and running, this thing is a beast, and definitely one of the best DJ mixers of the future. The touchscreen is a nice touch, and although not necessarily a make or break for DJ equipment setups at the moment, it does nothing but streamline workflow in Serato and aid in your recordings or performances. Once you get a feel for it it’s going to set this thing apart from other, non-touch friendly gear. Touchscreen is starting to blend into the DJ or really ultimately the entire studio equipment gear world and is here to stay. It’ll all come down to personal preference, but yes, we’re definitely moving further away from ‘analog’ gear. 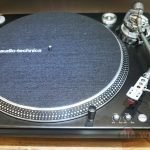 When it comes to compatibility with DJ turntables, you will be quite fine here — nearly everything is going to work, both analog and digital. 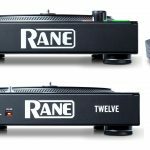 They do have their new Rane Twelve turntable they’ve just come out with (you can read that review if you’re interested and want to pair them up and have a perfect combo), but it isn’t an “only compatible” type of thing. They do have specialized assignable USB controller inputs in the Seventy-Two specifically for the Twelve, however. As seen in the photo above, they do look great together, but you’re more than welcome to mix and match the Seventy-Two with whatever you already have or end up buying separately. All in all, the Rane Seventy-Two DJ mixer is a force to be reckoned with, if you have Serato DJ and the cash, of course. 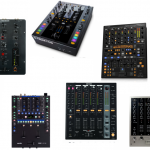 You can read our best DJ mixers article for some competitors, but this is a very specific mixer that can’t be competed with if you buy it for its standout features. 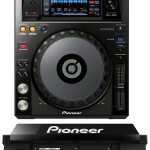 Some would say it rivals the Pioneer DJ DJM-S9 (price may drop as this year goes by) but hey — it doesn’t have touchscreen!